The City of Santa Cruz is pleased to announce that the groundbreaking for the first segment of the Coastal Rail Trail — the San Lorenzo River Parkway Phase III/Trestle Trail Project — will take place on Thursday, Jan. 10, from 12:15 to 12:45 p.m. at the west base of the San Lorenzo River Railroad Trestle Bridge. 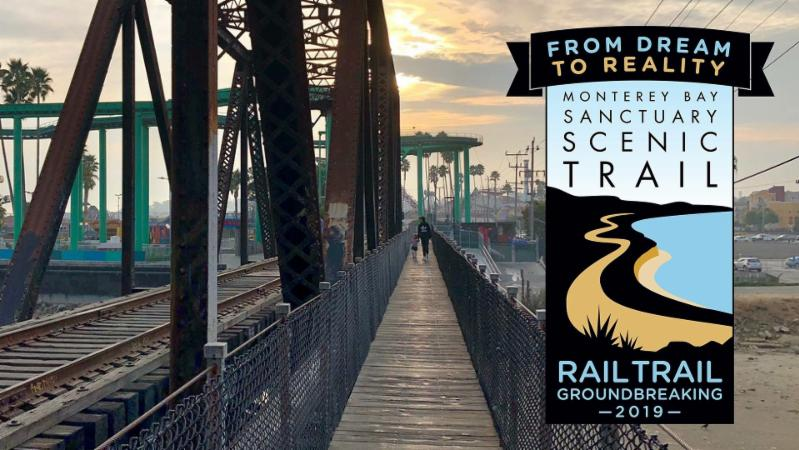 The project, which comprises a portion of the Monterey Bay Sanctuary Scenic Trail Network’s Segment 8, will replace the existing 4-foot-wide walkway on the San Lorenzo River Railroad Trestle Bridge with a new multi-use trail that is 10-feet wide. The 32-mile long Coastal Rail Trail is a part of the Santa Cruz County Regional Transportation Commission’s Monterey Bay Sanctuary Scenic Trail Network Master Plan.